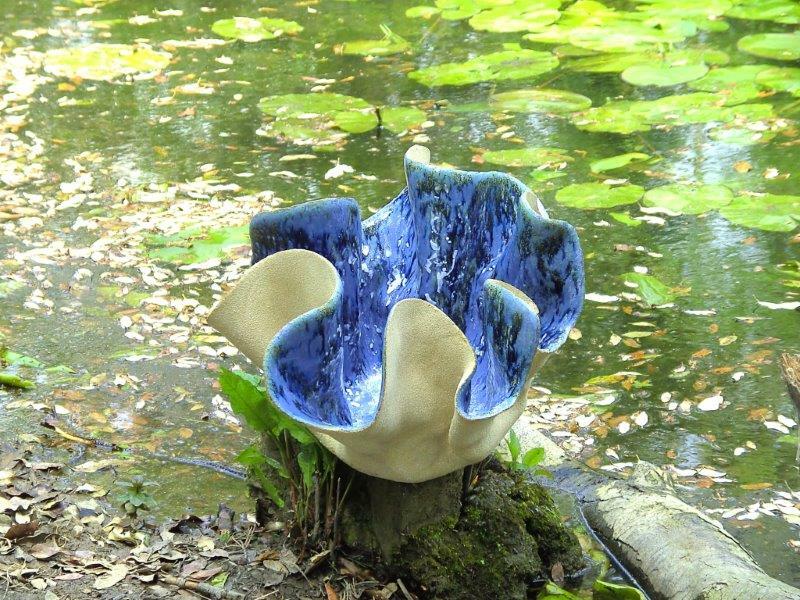 Blue Ceramic Coral Sculpture, original price €550, priced now at €395 each. 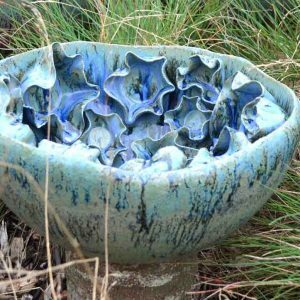 Stoneware ceramic sculpture inspired by bracket coral and fungi. 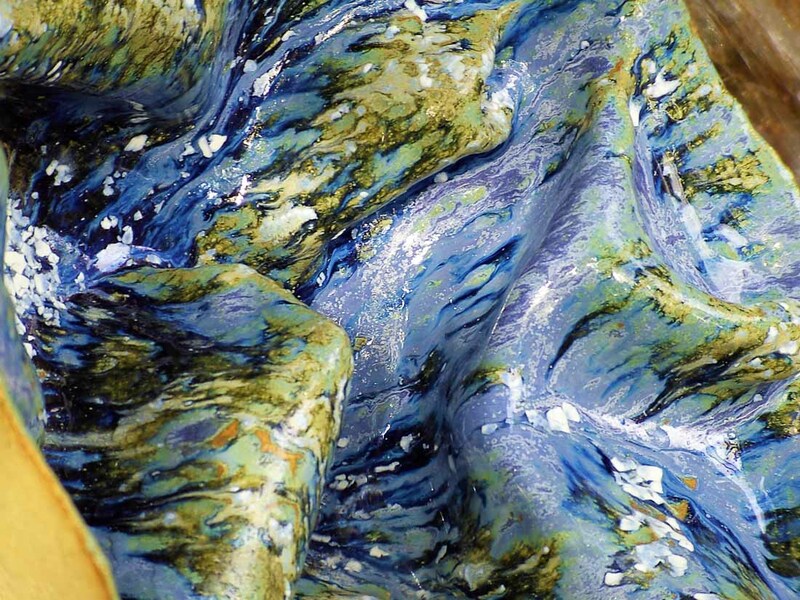 It is glazed on the inside in a beautiful blue/green glaze with cobalt flares. The outside surface is unglazed and has a matt stone finish. It was hand built in my ceramic studio in Dublin, Ireland. Each piece is unique; dimensions may vary as will the glaze finish. Fired in an electric kiln to Cone 8 (1260°C). Suitable for both indoor and outdoor use. 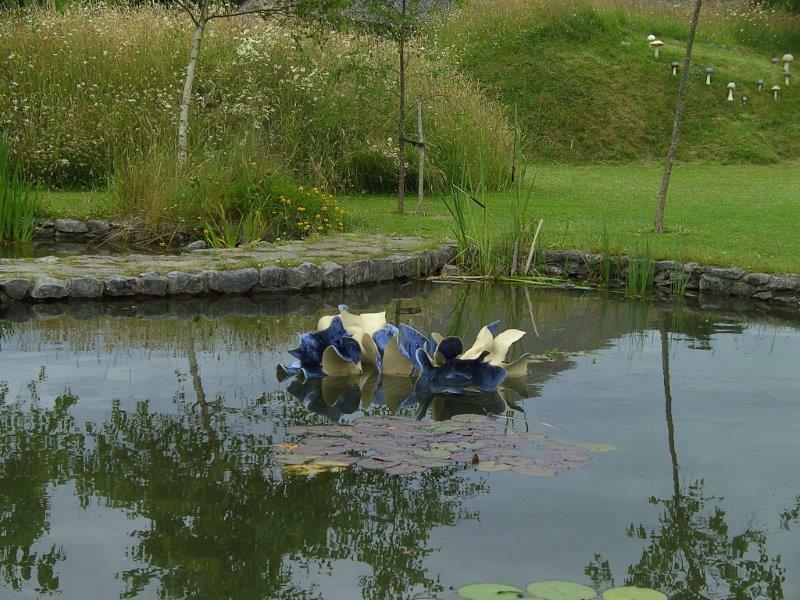 Would suit a commercial, residential, garden, water feature or public setting.